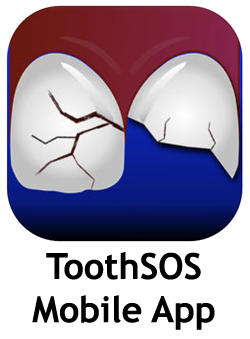 Link to Save Your Tooth! 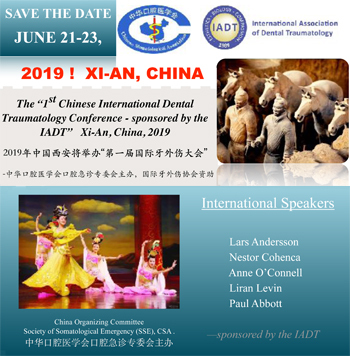 The IADT and CSA will meet in Xi-An China June 21st to 23rd, 2019 to hold an International Conference on Dental Trauma. The next World Congress will be held in Lisbon, Portugal, June 17-20, 2020 presented by the IADT and the European Society of Endodontics (ESE), in association with the Portuguese Society of Endodontology (PSE). Log in to your IADT Member page, under Continuing Education and watch the 2018 WCDT Presentation! Read the latest IADT News! through your IADT Member page! Log in to your IADT member page to access the Dental Trauma Guide - Free with your IADT membership! Become a Fellow of the IADT! IADT Discussion Group - over 10,000 members! View these and other lectures/presentations on your IADT Member Page under Continuing Education Icon! Log in to your IADT Member Page today! IADT Fellowship Program is now open! 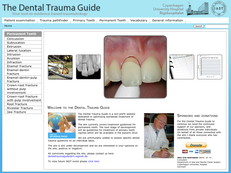 Dr. Jens Ove Andreasen and the International Association of Dental Traumatology, after intensive testing and development, has made the Dental Trauma Guide (DTG) available on-line. Together with his staff of coworkers at the University Hospital in Copenhagen, Denmark and contributors from other countries, Dr. Andreasen has used data collected from treatment records at the Hospital going back several decades to develop the Guide. It is matched with the IADT trauma guidelines that have been available through the IADT website for several years. Please Note: In January 2017 the new Dental Trauma Guide (DTG), version 2.0 became a subscription-based, paid-for-service information website. The DTG subscription is free to all IADT Members. Please log on to your IADT membership page for access to the DTG. The IADT welcomes new members - Apply today at IADT New Membership Information. IADT members now have an opportunity to earn a Fellowship in the International Association of Dental Traumatology. A prerequisite for Fellowship will be a minimum of three years continuous current membership of the association. The award will be based on a points system of service in dental traumatology and an online examination. Service will reflect activities in the field of dental traumatology and include; participation in IADT sponsored continuing education programs, presentation of lectures or posters, organizing dental traumatology courses, publishing or translating dental traumatology literature , or participating in IADT committees. Fellows will retain the title without further requirements as long as they maintain continuous membership in IADT. More details about the requirements for Fellowship can be found on the IADT Fellowship Page. Sign up for membership now to become eligible for this award! The International Association of Dental Traumatology (IADT) is a professional organization whose mission is to promote optimal prevention, diagnostic, treatment and follow-up services in the field of traumatic dental injuries through interaction with dental and medical colleagues, the lay public, and interested parties in education, sports, industry, public service and governmental agencies across the globe. We invite you to explore this site and consult the resources and information it contains.